The study abroad of a life time and how I became inspired to travel. After my rough layover, I finally made it! England, land of tea, bad teeth and scones…or so I only assume from the movies. I had been told to use a travelers check to protect my money – however upon receiving the second charge for processing it, I knew I would never use these stupid things again. With $2,500 in hand, I divvy up the money per six weeks so I am not left with a zero balance long before the trip is over. 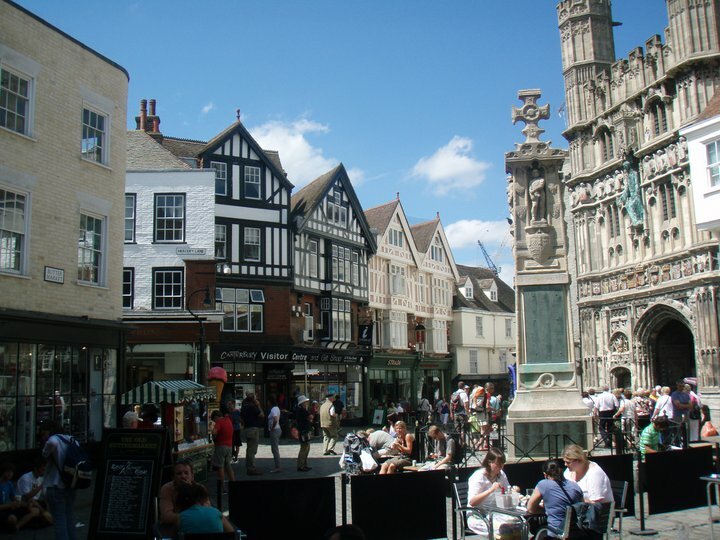 The town of Canterbury was like nothing I had seen before; people were walking in every direction, some to get to work and others just for leisure. The building alone could consume my time for hours if I had the spare minute to sit down and sketch them. Everything was so inspiring and it was clear that we were really in another world. Our program was full of diverse people, (one of which later became my favorite person) all of which shared the similar interest of culture. We spent day trips in London and surrounding cities. It helped that our professors had done this every year and knew a lot of history to go with the well mapped out places. The program gave us three long weekends off, so we made sure to pack as much of Europe as we could; Amsterdam, Scotland and Paris were on the agenda. I should mention that we never did see that Queen…she is pretty good at hiding from the Buckingham windows. These photos cannot describe the experiences encountered during this short trip. I not only made life-long friends, earned a few hours of school credit, and tasted new foods, but something inside me started turning that day. It was as if I tasted a grain of rice for the first time since a lifetime of water. Suddenly I wanted to try every flavor, and I needed to figured out how.